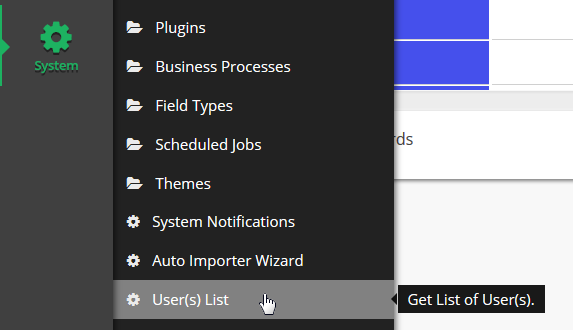 Documentation and SupportReleases Okra Release Notes 2016-09-24User list now easily accessible via the system menu. This will open the User(s) List modal. This modal contains any active user. This will download an excel file that contains all users in your customer along with their email address. Prev: ObservePoint Connector Now Available. Next: Hive Connector Now Available.